Great excitement! That’s often the feeling you get when you are getting ready for a holiday or time away from home. Being someone who likes in advance to be well prepared, I started getting ready on Saturday for my time away on Tuesday. Firstly I made a comprehensive list gathered from various websites on what to do and where to go. 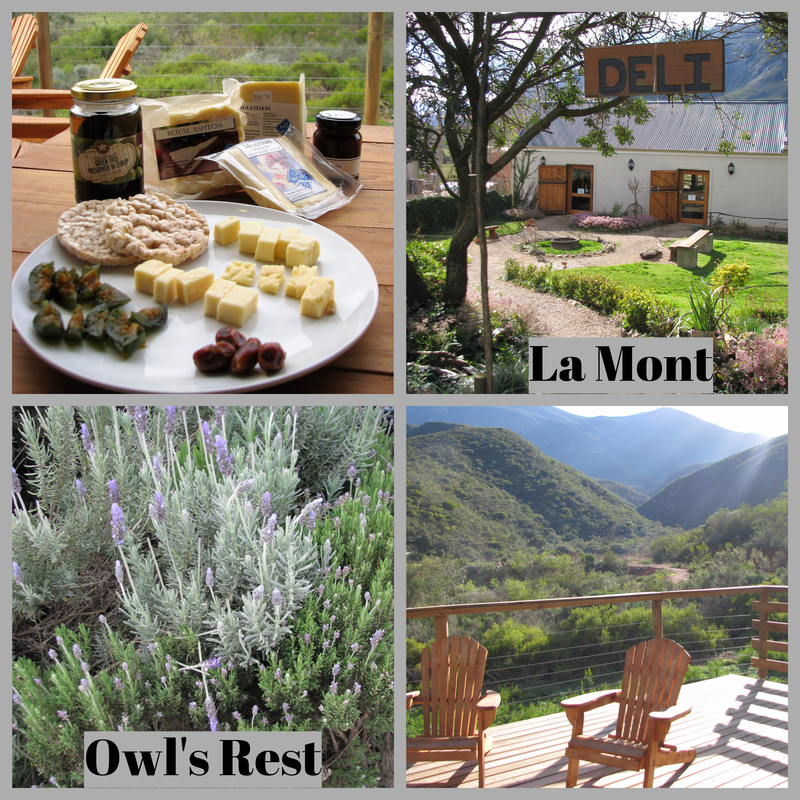 My love of all things dairy, especially cheeses, led me to develop my own cheese tour! I also love my coffee (naturally with cake), so I choose to incorporate some coffee stations along the way (time permitting). Being a nature and outdoor lover, I decided to also incorporate some hiking. I decided to leave early morning so that I could get into the area early and hopefully as my first visits were opening, giving me a full first day. My first visit was in Worcester at Alfalfa Dairy. I arrived at the farm area and was then accompanied by someone on a motorbike to the shop further down the road! 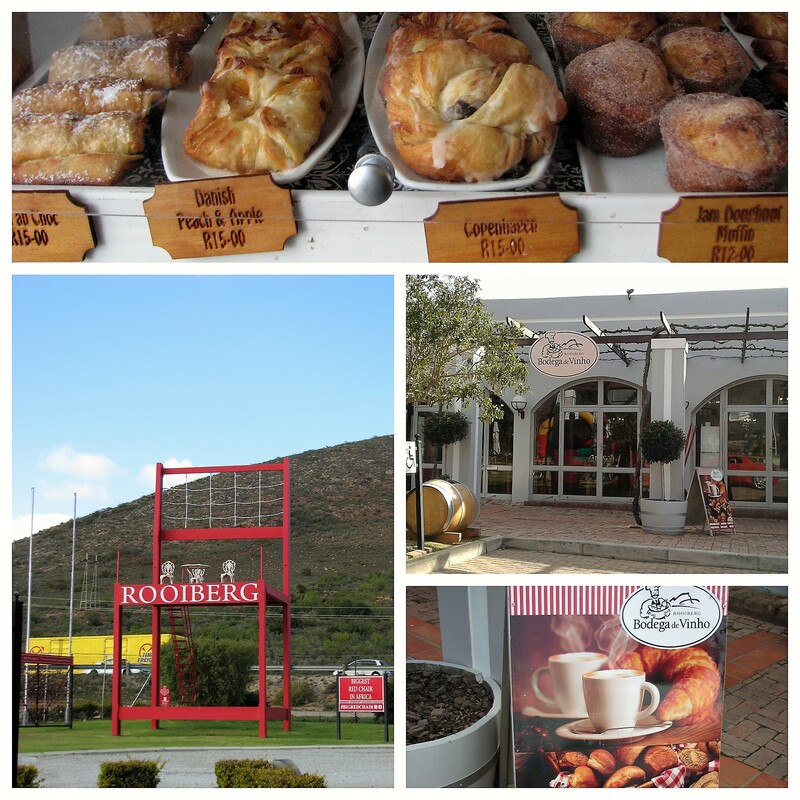 Next was the famous Rooiberg, with the ‘can’t be missed’ famous red chair! The restuarant Bodega is, as always quite a pleasure. I chose the 3 egg omelette with coffee for breakfast and was not disappointed. The bakery goodies, especially the chocolate pastry and doughnut muffin are delightful. Every time I’m there I also purchase their tasty red grape juice and this time also the Olyfberg olive oil. Then it was onto Robertson for a couple of places to visit. 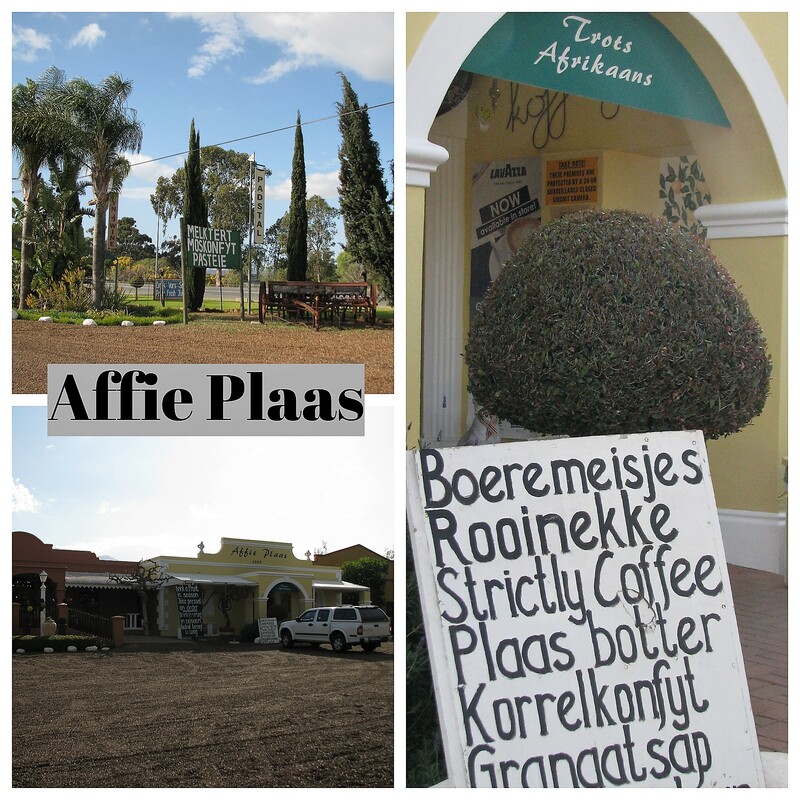 As you drive into Robertson, there is an interesting farm stall, Affie Plaas. If you’re anything like me, I can’t resist farm stalls. This one has many goodies to find joy in. Further down the road, On Route Wine Boutique offers olive tastings that are flavoursome, particularly the Kalamata Saailand Olive Estate. Driving on towards my destination, I stopped at Marbrin Olive Growers In Klaasvoogds. There I was fortunate to join in a tasting that was in progress. This included various cultivars of olives, home-made olive tapenade and extra virgin olive oils, with some interesting snippets of information about the farming of olives. this boutique olive farm had just won an award the previous week for their extra virgin olive oil, Intense! Just up the road is Rosendal, where I choose to have lunch – mushroom risotto – thoroughly enjoyably! 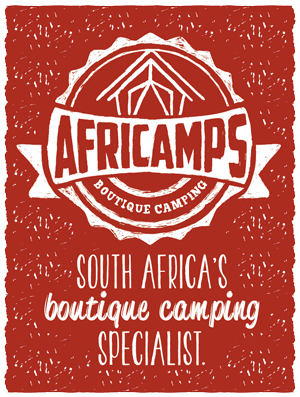 Finally, I arrived at my destination of choice – AfriCamps at Pat Busch. The drive to the entrance is a couple of minutes through neighbouring farms and on a farm road. As I had called ahead before arriving, I had the entrance code and drove in, making my way towards the tent. I noticed Consol glass jars dangling along the walkways and from the tents, quaint was what I first thought. These apparently are lit at night. It was such a treat to arrive and just enjoy the tent and surroundings without any hassle of setting up camp. Luxury camping at its best. Nothing to worry about and everything to appreciate. This is boutique glamping. The Langeberg mountains engulf the whole valley, with the dam to the right. Inside the tent, what I particularly loved is the intricate attention to detail. From the copper pipe bathroom fittings to the custom handmade wooden detail in the kitchen. The kitchen is delightful and adds such character to the look and feel of the tent. The peace and quiet is truly something. The indoor fireplace is great as it keeps the entire tent warm during the evening. 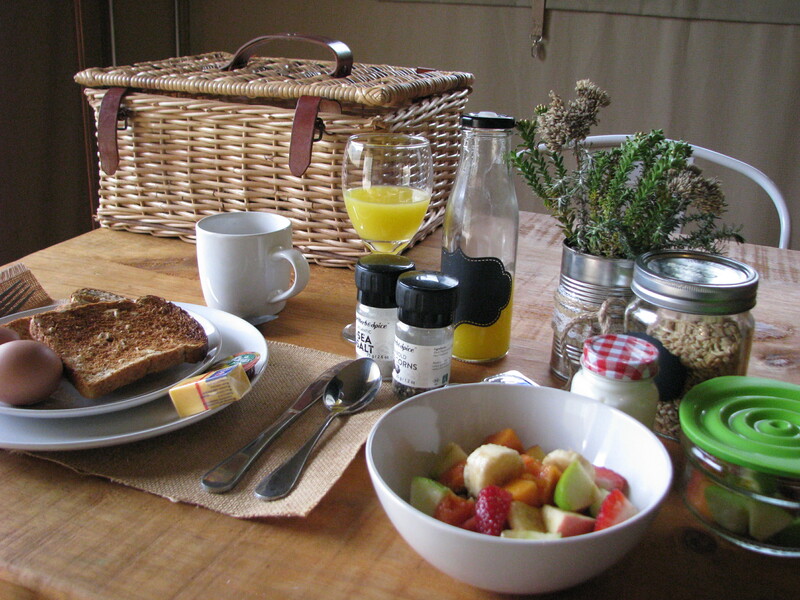 Breakfast baskets delivered to your tent are so superb, with beautiful details such as the picnic basket with all the goodies in and the glass jars each containing yoghurt and filter coffee. Such a pleasure. The next day I proceeded up the Middlerug hiking trail. As you walk to the trail, you will get to the dam, where canoeing, swimming and fishing is permitted. 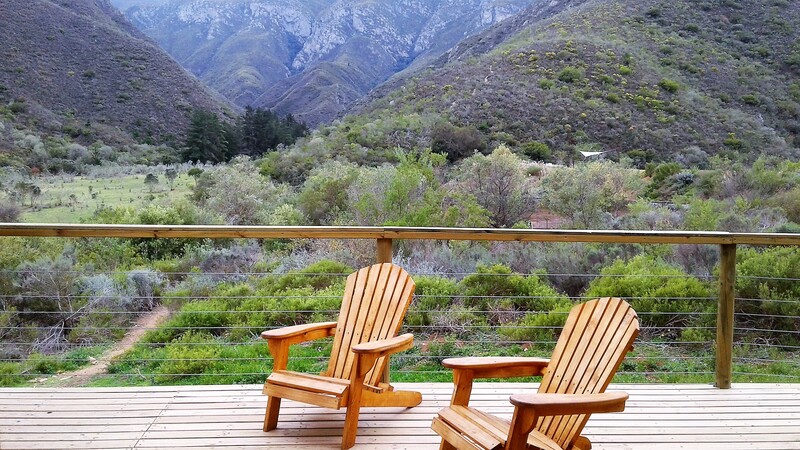 The trails are only for the guests who stay in the Reserve and the views are incredible! Once back from the mountain, I ventured out in the area. My first stop was Owl’s Rest in the Klaasvoogds Meander. There I was surprised by the owner Patricia, who took me on a guided tour of their boutique estate, where they farm lavender as well as olives. Then I was treated to a tasting and explanation of their produce. These also included rosemary, rose geranium products as well as unusual preserves and distinctive cordials. They have a fruit there called a tamarillo, originally from South America, that they make a delicious jam from. La Mont Bistro and Deli in Ashton was the last visit for the day. They have a lovely choice of tastings in an elegant setting. My favourites were the Royal Ashton, Montaan and Maasdam. Then it was back home again to AfriCamps for the evening, tucked under a blanket with a roaring fire. My last day there, after booking out, I headed to the Parmalat Products Shop in Bonnievale. They had some good products, such as camembert and feta. Mooivallei Suiwel, also in Bonnievale, had stock of larger quantities at reasonable prices, mainly cheddar, gouda and butter. 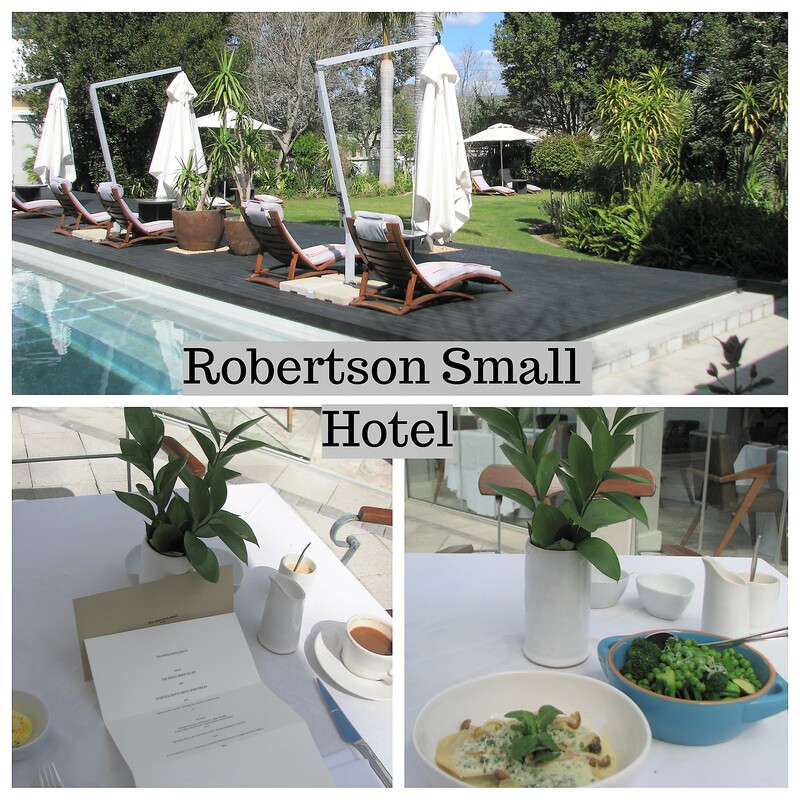 Robertson Small Hotel was the last visit on the way home, where I indulged in decadent dining – mushroom ravioli with fresh green garden vegetables. Wonderful coffee there too. The view from the restaurant’s patio overlooks the pool and lush garden. Very tranquil and peaceful in beautiful surroundings. Then it was back home to Cape Town. 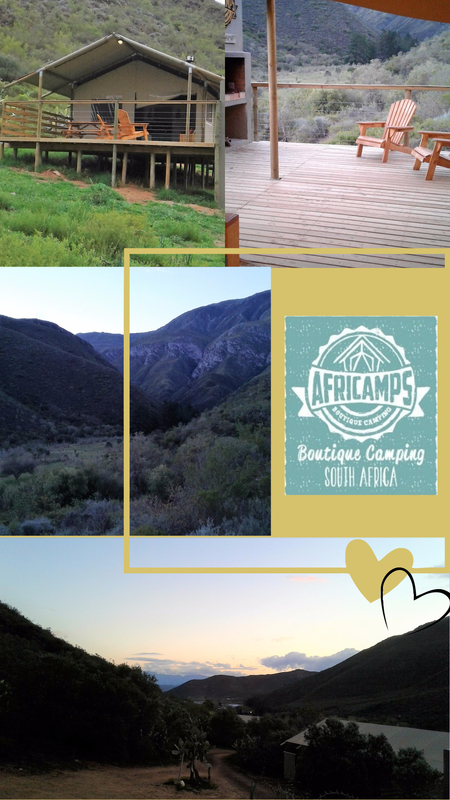 This adventure was wonderful, be sure to make the most of your journey when venturing to stay in AfriCamps at Pat Busch in Robertson.